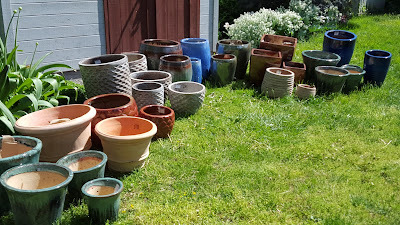 We are excited to offer at the upcoming May 6th Plant Sale a collection of outdoor pots donated by Campania International, inc. These pots will be offered for sale at super bargain prices along with hundreds of perennial plants for sun and shade, shrubs, garden tools, tomato seedlings, etc. And all proceeds go to maintain and improve this public park. Fair warning: On the morning of the sale, we close the park to set up and allow no browsing until 10 am sharp. 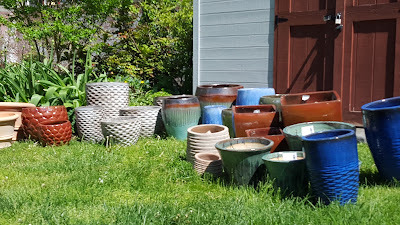 By then, we usually have crowds waiting for the rarest plants or best bargains. Come join us for a fun sale!